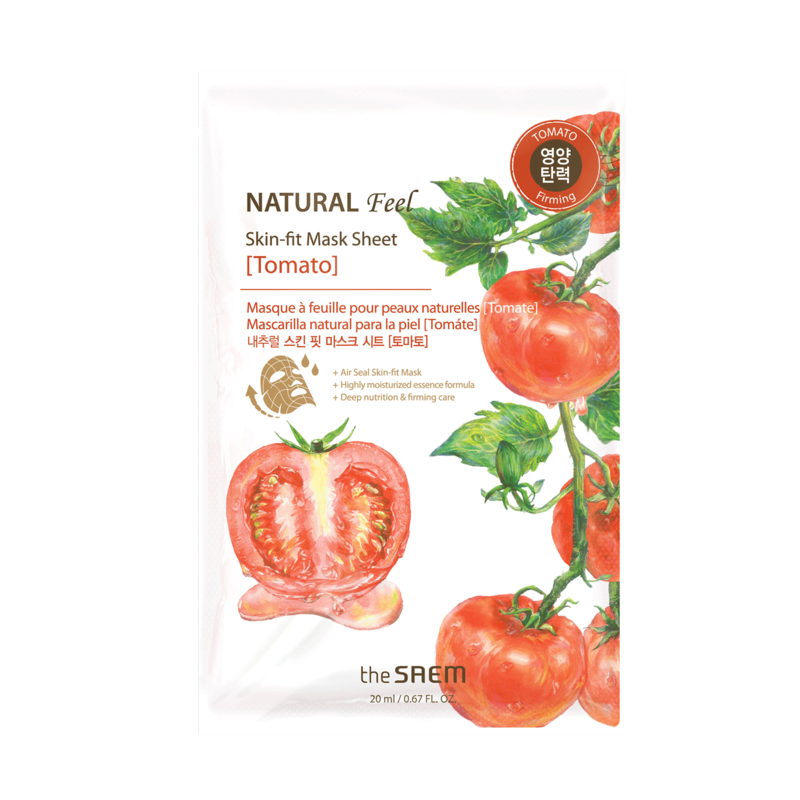 A mask sheet that gives nutrients and elasticity to the skin, which contains the tomato ingredient in the essence formulation with high moisture content. Contains essence with cool, rich moisture to keep your skin dry and shiny. Purified water, glycerin-26, dipropylene glycol, propanediol, ethanol, tomato extract, beta-glucan, sodium hyaluronate, Hydroxy ethyl cellulose, Indian oriental resin extract, disodium edetate, sodium carbomer, hydroxyethyl cellulose, allantoin, Di-potassium glycyrrhizate, phage-60 hydrogenated castor oil, 1,2-hexanediol, glycerin, butylene glycol, caprylic glycol, Licorice extract, Omiza extract, Huangli extract, Ginger extract, Green tea extract, Hexylene glycol, Hydroxyacetophenone, Clofenacin, Fragrance. inspired by worldwide nature.